I love make-up. However, my budget doesn't allow me to love make-up too much. As a stingy, cash-strapped student, I always wanted to try the new launches and dabble with high-end make-up that one day I might be able to actually indulge in. Getting samples from make-up counters was a great and affordable way to try these products out, allowing me to 'try before I buy' and make sure I was investing my money into a product I actually loved and knew worked well for me. It's not awfully common with mascaras, but some places will give out smaller mascara samples to try. When I bought a lipstick from MAC, I received a little mascara sample to test out- this later became one my all-time favourites. Magazines often give 'freebies' out each month, which is how I got to try a sample of Benefit's Roller Lash (another fave) when it launched. Other places like Clinique have given samples as part of a purchase offer, and I know many brands partner up with others as a way of getting their products to a wider audience. (Benefit are currently giving Roller Lash samples away again when you purchase from flower company Bloom & Wild). 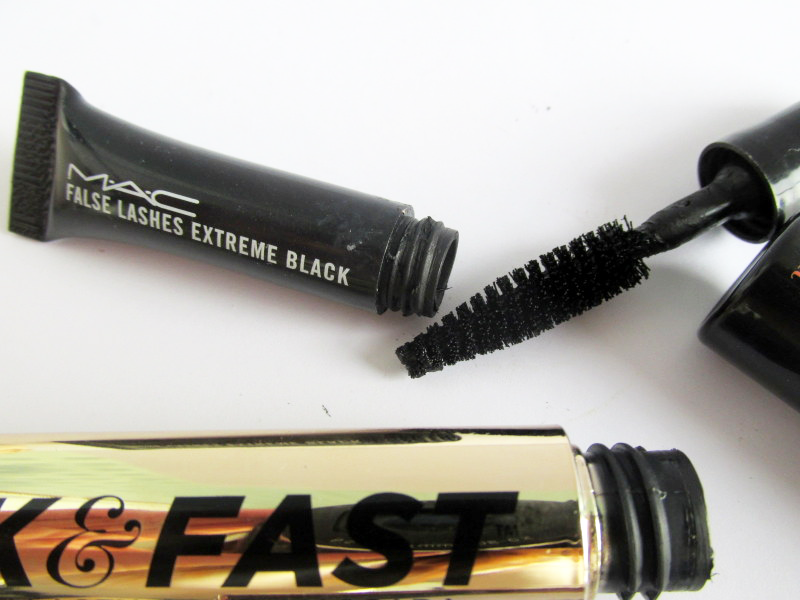 Essentially, sample mascaras can be found in quite a few places and obtained in different ways. What's so good about them is that you're not faffing around with a chunky wand. The applicator is smaller and therefore more precise, and the length of the wand is smaller and therefore you don't have to hold it further away, allowing you to get right in there and coat the smallest of lashes. The dinky mascaras are not only cute and travel-friendly, but they really do serve a purpose when it comes to catching those stubbier lashes. Obviously, you need a good mascara to start with (I've listed a few of my favourites for short lashes here), but I honestly do think size matters when it comes to trying to elongate short, stumpy lashes. With normal sized mascaras being too clunky to apply to those delicate hairs that are just starting to poke their way through, a sample-sized one can squeeze in there and do the job far better, The applicator size is just far better suited to the size of your lashes- just think, smaller lashes need a smaller mascara. Some of you may get on fine with full-sized mascaras, but I know that sample-sized ones just work amazingly for my lashes when they are in the short 'just growing through' phase. With every single lash coated in a precise and even manner, I can build up the layers of mascara and find it truly makes the most of my short lashes. I'd love to hear your thoughts on whether you find this too, or if you find full-sized products do the job just as well. 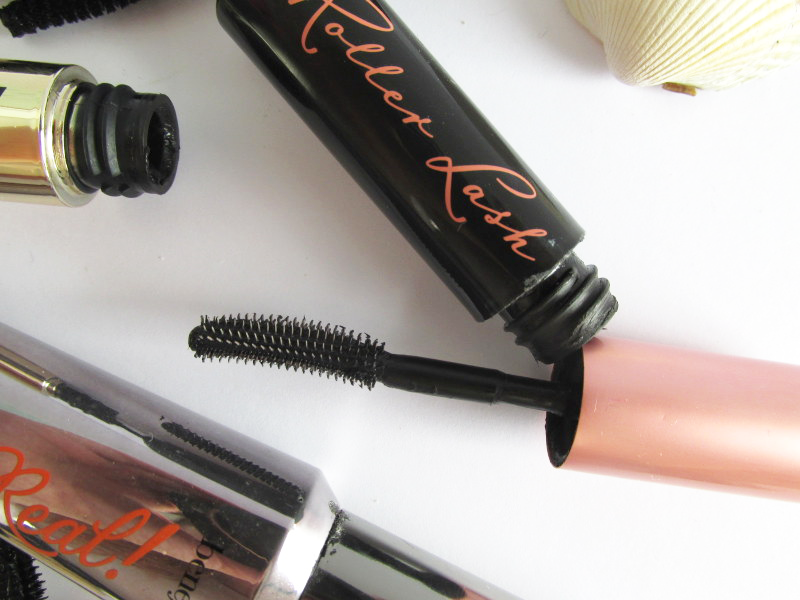 Do you prefer using sample-sized mascaras? Which are some of your favourites for short lashes?